In this new digital connected world where our daily lives depends on technology, it is no surprise that mobile use is on the rise. More people are starting to use smartphones as it can run your daily life straight out of your pocket. If you want to check email, search for local restaurants, find out what is being said online, or just have fun and share a picture with your friends, use your mobile. With this growing trend, what should a internet marketing agency focus on when it comes to mobile marketing? 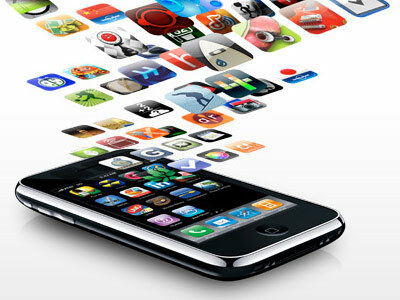 Understanding how mobile can support your other internet marketing strategies is the best place to start. Most people searching for local businesses is done on a mobile device. These are the people who are looking for new restaurant, movie schedule, driving directions, etc. Sadly, most local businesses does not have a mobile website dedicated to these visitors. Mobile friendly websites should be simple and they should not be as cluttered than the websites viewed on normal browsers. Mobile websites should generally be designed to be compatible with mobile devices and sometimes needs special requirements. Local businesses that doesn’t have a mobile website, are missing out on a huge growing market segment. Here are a couple of reasons why your mobile website needs to be different from your normal business or personal website. There’s a variety of screen sizes. Screen sizes vary tremendously from the small to the much larger smart phones with touch screens. With smaller screen sizes, images must be reduced or even eliminated on only focusing on content. Smaller mobile pages needs less text than the text found on your website. Remember, the screen is only that small and you want to get your message across. Don’t use frames and flash animations. Also, reduce HTML tables and focus only on compliant XHTML code to make your mobile website compatible with most mobile phones.